Earlier this week, I attended an event at Facebook’s London HQ. 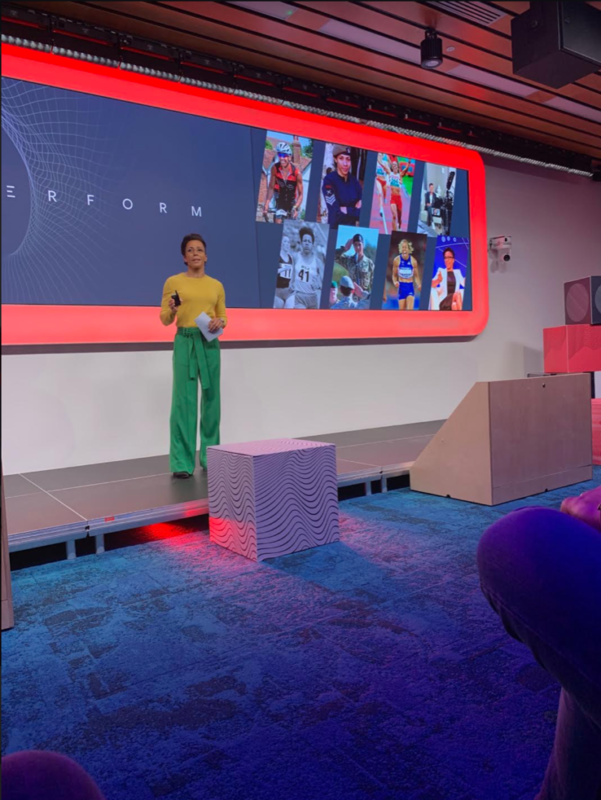 Perform 2019 is aimed at illuminating the world of digital natives and showcasing how they see, think and operate. 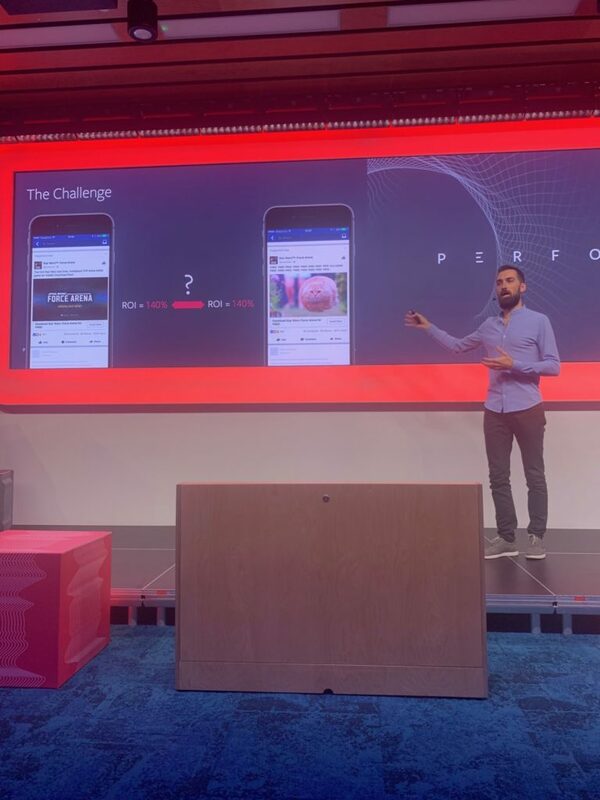 Discovering how advertisers are using performance marketing tactics in order to build global brands, Facebook often look towards digital natives for inspiration; a specific group of companies who display disruptive and fast-growing characteristics. Created at a time of relentless innovation and optimism, digital natives operate on Facebook in a unique and powerful way. These companies are building on traditional principles of performance marketing, operating at staggering scale and sophistication to compete with, and in some cases eclipse, more well-established companies. Facebook looks to companies like these to help describe how to get the most out of the platform and where other companies can learn to thrive further. 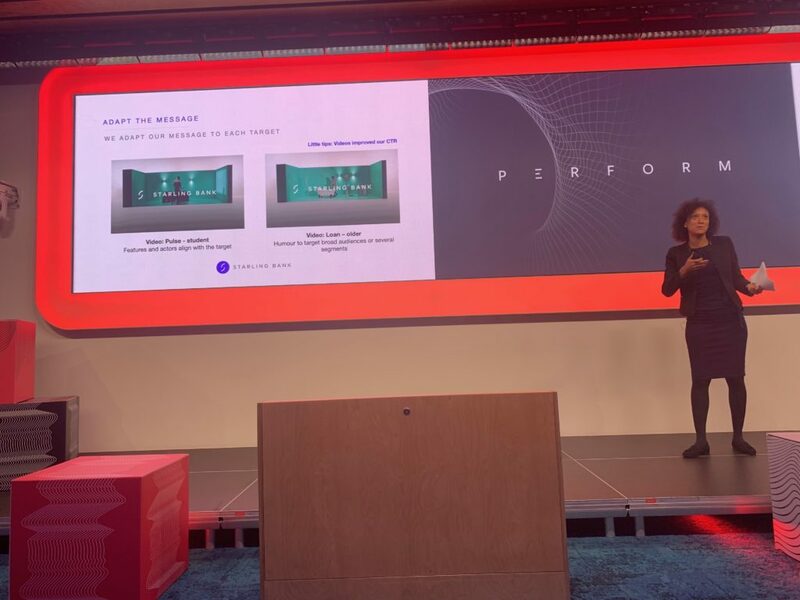 At the Perform Conference this year, the chosen keynote speaker was none other than Dame Kelly Holmes, alongside a whole host of guest speakers. 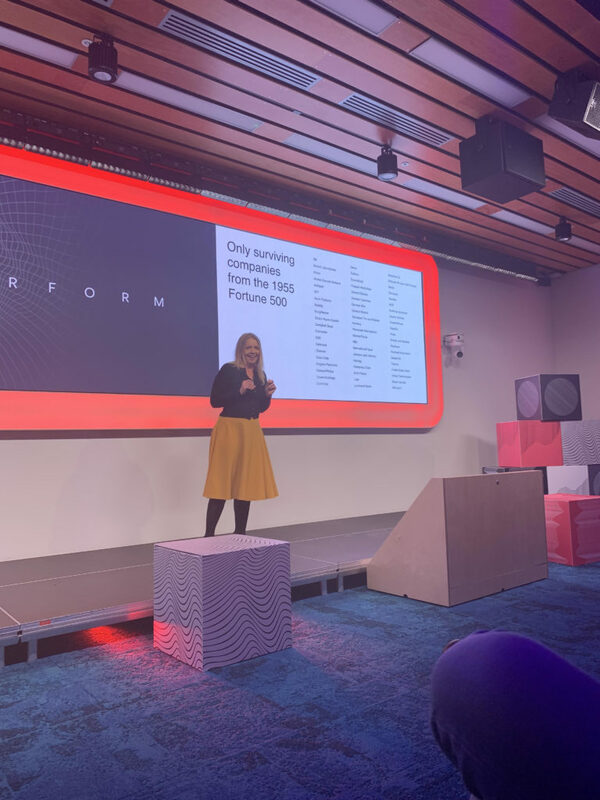 They included Kelly McConville; Head of Content and Social at Uber and Aida Bejgane; Head of Paid Acquisition at Starling Bank. 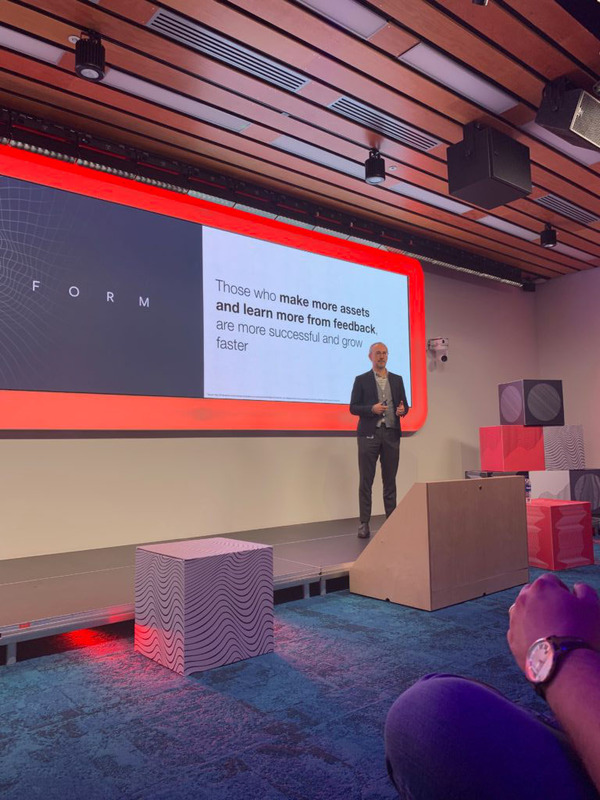 Also speaking at the event were various members of Facebook itself, including the Global Performance Agency Lead, Regional Director, Marketing Science Agency Lead, Head of Creative Shop and Global Product Marketing Lead. So, what did Digital Next learn from attending the event? Kelly McConville of Uber discussed the huge importance of content; as a brand, Uber produces content based around their audiences in over 500 different locations, tailoring it based on behaviours and key indicators within their data. For example, they discovered that men in France are far less safety-conscious than men in the UK. With that in mind, they are able to tailor their ads to suit that attitude; in the UK, Uber releases ads that talk about getting your partner home safe, whereas in France they take a different route. Rob Kiely from Facebook emphasised that brand marketing is a crucial part of any digital strategy. He talked about a Star Wars ad being split-tested; one ad displaying a well-produced, animated film, with the other displaying a fluffy cat flying through the hair. Surprisingly, both ads converted at the same rate. This is because of the brand strength Star Wars has built over the years, highlighting the importance of having a solid brand identity. Starling Bank carry out their marketing according to audience too. They produce completely separate ads for different demographics, like students and the older generation. It might sound simple and obvious, but it’s still an incredibly clever way to target your various audiences. Each guest speaker touched on something incredibly logical and crucial to achieving success online. An interesting concept of considering your audience’s state of mind was introduced. For example, pre-9am, most people will be fairly relaxed; either getting ready for work, making breakfast or checking their social media feeds. However, by 2pm, your audience may be in a very different mood; most will be in full-work mode. Every ad you put out needs to work to suit human behaviour, including the time of day and state of mind of your target audience. With this in mind, it’s imperative that you build a team around you based on performance; not just a team for the sake of having staff. Good results in performance marketing come from having a winning team, which produces a positive trend within your environment. Companies that build multiple content assets and then measure, test and learn from them are the ones that grow faster; so focus on your team’s ability to be able to do this. Facebook released a few interesting insights on the day; lift optimisation is a feature that’s coming soon, so keep your eyes peeled! It also raised the point that brick and mortar businesses can still gain from Facebook. They can match data on Facebook by seeing which ads get people through their doors. This could be a hugely important aspect of Facebook for businesses that don’t necessarily operate online. What was particularly fascinating was the list of the only surviving companies from the Fortune 500 list since 1955. This could be partly put down to creative development and keeping up with the ever-changing trends in the digital world. The list includes ATT, Boeing, Coca-Cola, DuPont, General Motors, IBM, Kellogg, Procter & Gamble and Whirlpool. The highlight of the day had to be listening to Dame Kelly Holmes. It was an amazing experience to see Kelly speak about her career and all her success, including the setbacks she’s had along the way. She talked about her team, who supported her along the way from physio, right through her running partners who gave up their time during their prime to help her achieve gold. She really is an inspiration to the country, and it was incredible to hear her talk about selfless commitment. When was the last time you were selfless for someone in your team, or for the greater good?